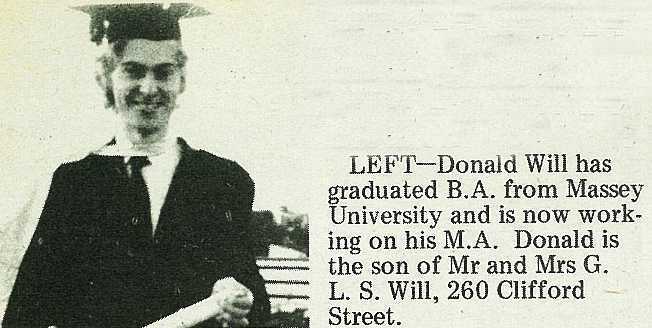 Donald Will has graduated B.A. 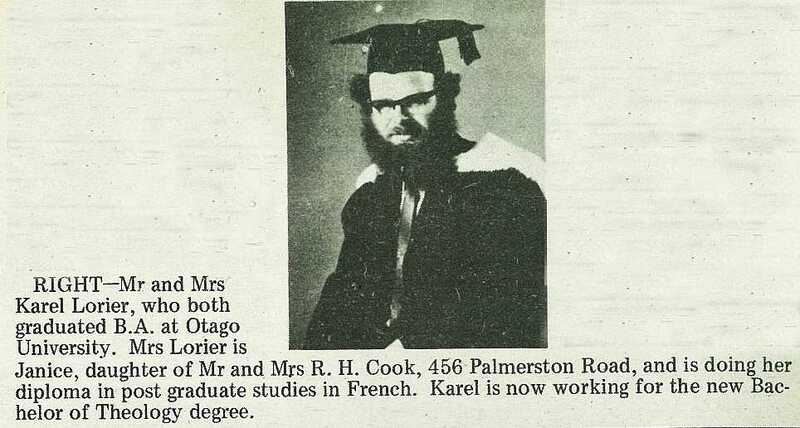 from Massey University and is now working on his M.A. 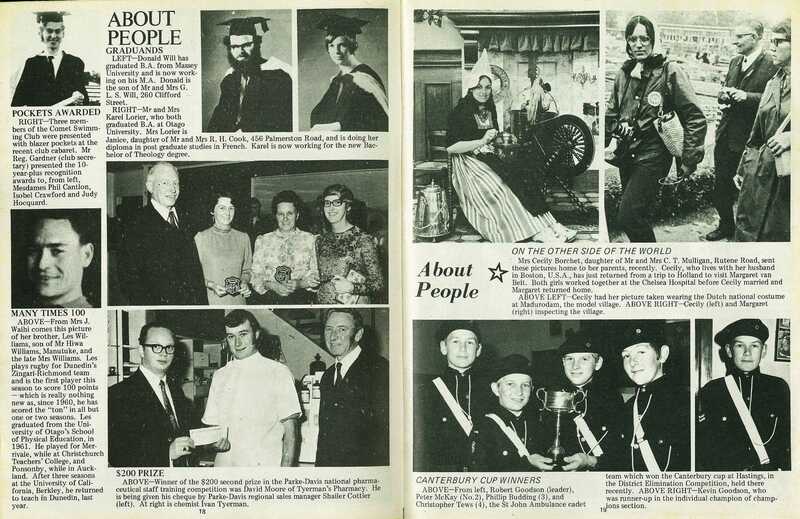 Donald is the son of Mr and Mrs G. L. S. Will, 260 Clifford Street. Mr and Mrs Karel Lorler, who both graduated B.A. at Otago University. 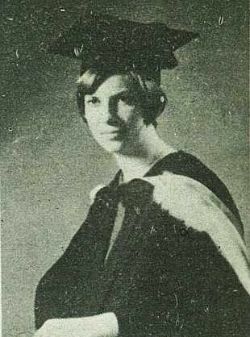 Mrs Lorier is Janice, daughter of Mr and Mrs R. H. Cook, 456 Palmerston Road, and is doing her diploma in post graduate studies in French. Karel is now working for the new Bachelor of Theology degree. Three members of the Comet Swimming Club were presented with blazer pockets at the recent club cabaret. Mr Reg. 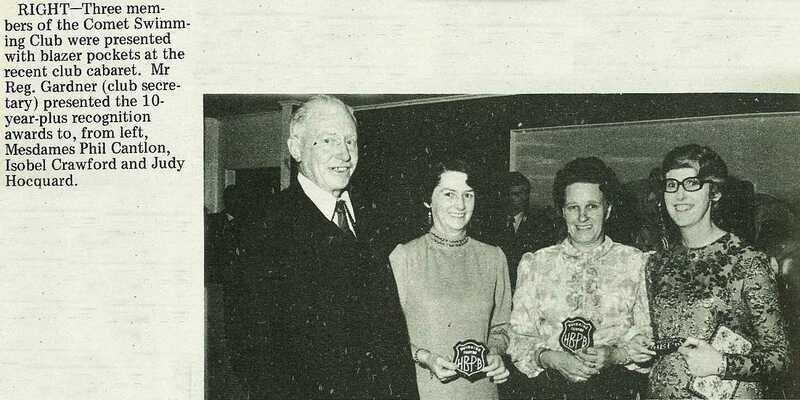 Gardner (club secretary) presented the 10-year-plus recognition awards to, from left, Mesdames Phil Cantlon, Isobel Crawford and Judy Hocquard. From Mrs J. Waihi comes this picture of her brother, Les Williams, son of Mr Hiwa Williams, Manutuke, and the late Mrs Williams. Les plays rugby for Dunedin's Zingari-Riehmond team and is the first player this season to score 100 points — which is really nothing new as, since 1960, he has scored the "ton" in all but one or two seasons. Les graduated from the University of Otago's School of Physical Education, in 1961. He played for Merrivale, while at Christchurch Teachers' College, and Ponsonby, while in Auckland. After three seasons at the University of California, Berkley, he returned to teach fn Dunedin, last year. 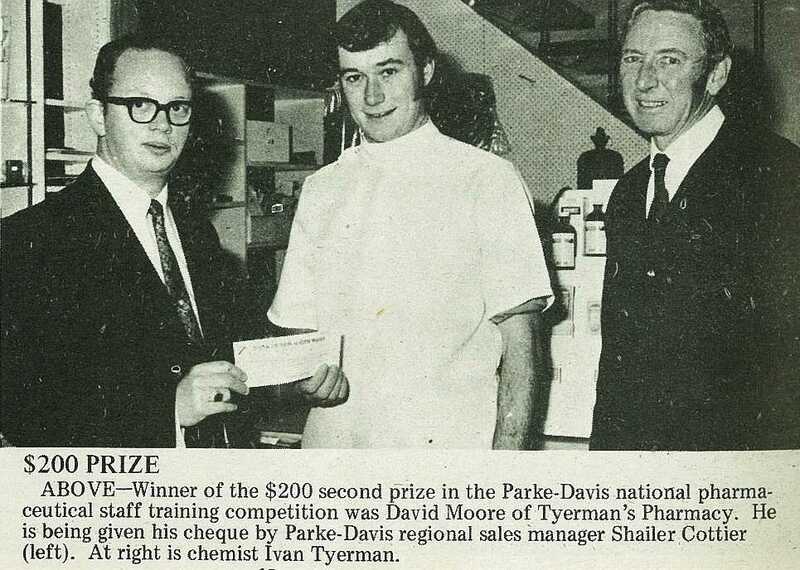 Winner of the $200 second prize in the Parke-Davis national pharmaceutical staff training competition was David Moore of Tyerman's Pharmacy. 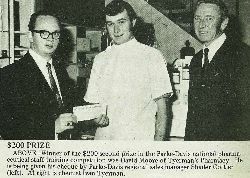 He is being given his cheque by Parke-Davis regional sales manager Shailer Cottier (left). At right is chemist Ivan Tyerman.